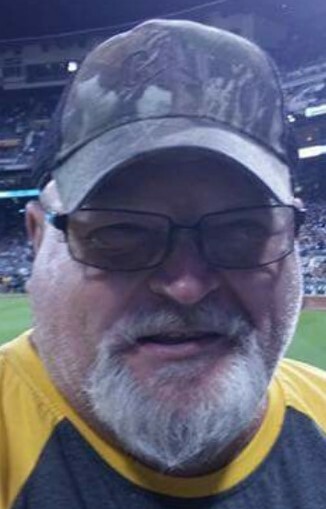 Obituary for James "Butch" P. Barth | C Richard McCauley Funeral Home Inc.
James "Butch" P. Barth, 52 years old of Youngwood, PA, died Thursday, May 10, 2018 in UPMC Mercy. He was a member of New Stanton Assembly of God, proud life member Model T Ford International Club, and treasurer of the Youngwood Dog Club. Butch was a gentle giant whose larger-than-life presence was felt by everyone around him. He never met a stranger and could make anyone smile. He was the beloved Pappy to his grandchildren, and his wife and family were the light of his life. Butch enjoyed telling stories about going on Model T tours across the country and his childhood spent in Michigan restoring Model T’s with his dad and learning how to cook with his mom. He also loved his motorcycle and enjoyed going on rides with his wife. Not only did he play Santa for several dog charities and little kids, but he was Santa all year round. Surviving are his wife, Tammy L. (Frelick) Barth and three children Ashlea Kolassa & husband Mike-Wichita KA, James J Emery III & wife Stacy-N Huntingdon, Amanda G Sloskey & husband Mike-Latrobe four grandchildren Evelyn Kolassa, Amihn Sloskey, Taryn Emery and GraceLee Sloskey. Father-in-law Richard Frelick and Mother-in-law Naomi Frelick. Friends will be received 2-4 and 6-8, Wednesday, May 16 at the C. Richard McCauley Funeral Home, Inc., 101 South Fourth Street, Youngwood, PA.
Services will be held at C. Richard McCauley Funeral Home, Inc., Thursday, May 17, 2018 at 10:00 am withRev Mike Hampton and Rev David Lingsch co-officiating. Interment will follow in the Central Cemetery, Greensburg, PA.
Family suggests memorial contributions to the Youngwood Dog Club.